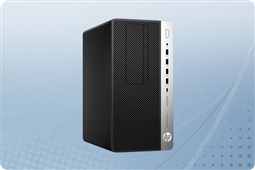 HP ProDesk 600 G3 Desktops are a highly expandable and flexible line of personal business computing solutions perfect for Small to Medium Size Businesses (SMBs) looking for the best in security and ease of management! 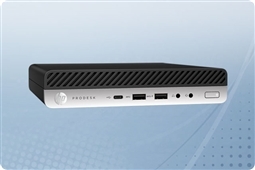 These highly customizable HP ProDesk 600 G3 desktops are powered with the best in productivity hardware such as Intel Core i5 and i7 processors up to 3.6GHz in speed, DDR4 memory expandable up to 64GB, and SATA as well as ultra fast solid state drive storage to meet the needs of even the most demanding applications and tasks. 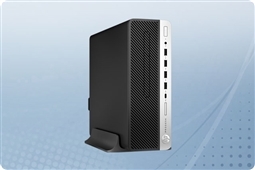 In addition, a wide variety of form factors are available such as the Desktop Mini Form Factor for space efficiency, Small Form Factor for scalability with a small footprint, and MicroTower Form Factor for the most ports and customization of hardware. Plus all models come with security and management features like BOISphere Gen3 and HP Support Assistant to ensure the safety of your end user’s data on every HP ProDesk 600 G3 PC! Aventis Systems is proud to deliver all of our HP ProDesk 600 G3 Desktops with a 1 Year Essentials hardware support warranty. Additionally, Secure Drive media retention, Express NBD parts replacement, and Extended term warranties are available to ensure your team has the support they require. So shop our models below and customize the perfect HP ProDesk 600 G3 model for your business today!